WASHINGTON, Sept. 9, 2014 - In an organization as large as the Defense Department, bad or outdated policies or regulations can remain in place, and sometimes there are bad actors. The DoD Inspector General operates a Hotline that has been instrumental in changing policies, uncovering fraud, waste, abuse and mismanagement and in helping the government save money. Those using it can identify themselves or remain anonymous. 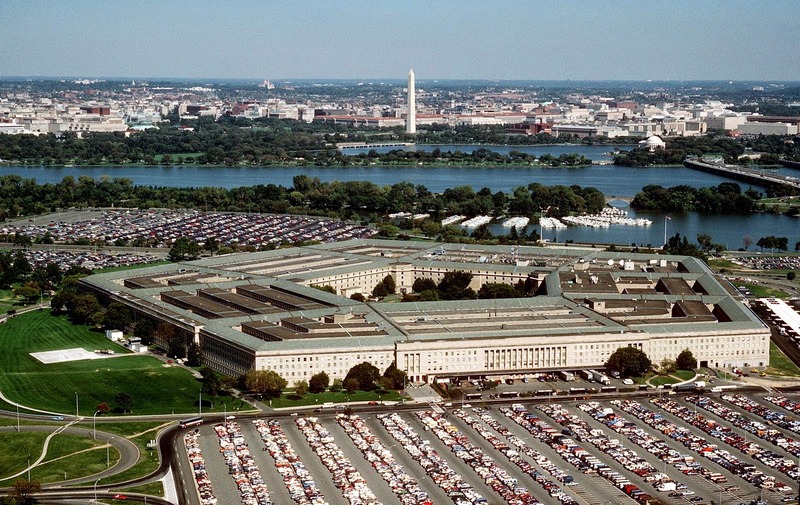 "It's a reliable, confidential means to report fraud, waste and abuse or mismanagement or classified information leaks or threats to DoD personnel," Patrick Gookin, director of the DoD Hotline, said in a DoD News interview. It's a massive undertaking. The Hotline received 32,000 contacts last year. Gookin's 33-member staff looks at every contact and "triages" them. They determine if the contact is within the purview of the Hotline and, if it is, the proper place it needs to go to for investigation. By far, the most effective way to get information to the IG is via the online Hotline form, Gookin said. "We have an online complaint form that asks you the who, what, where, when, how and why," he added. "We can go through that form much faster and more efficiently to decide where we need to refer it to than with a phone call." The online form helps the Hotline staff quickly get to what really matters by collecting all of the information needed in one step. The Hotline form is at http://www.dodig.mil/hotline. The elimination of free-flow email complaints and a new Hotline telephone system, which allows callers to be instantly connected to their most requested agencies, enabled the Hotline staff to cut out two-thirds of their contacts and increase the number of cases they can handle. And these are cases that matter. The Hotline was instrumental in the Dover Air Force Base, Delaware, mortuary scandal. It also was used to fix the problems with Arlington National Cemetery's mismanagement of gravesites. An ongoing case is the one against Glenn Defense Marine Asia. A number of senior Navy personnel have been arrested or disciplined in a contracting corruption scandal. The last illustrates one aspect of investigations -- their length. The person who reported the corruption could not know for more than a year that anyone was acting on the tip, Gookin noted. "The nature of investigations is such that someone who calls in a tip can't know what we are doing," he explained. "In the case of Glenn Marine, the investigation went on for a long time very quietly. Now the people know the right things happened." Gookin explained the priorities his staff uses when they triage the tips on the Hotline. Priority No. 1 is a life, health, safety matter. "It goes out the door within the same day," he said. Priority No. 2 is reprisals, investigations of senior officials and other issues important to the department. The operators have three workdays to submit these tips to where they need to be -- a metric they are usually beating, Gookin said. "Priority No. 3 is all other matters," he said, "and we have 10 workdays to submit them, but usually only need five." There are two types of referrals, Gookin said, with the first being an action referral. This referral is "where we demand they get back with us on the actions taken," he said. The second referral is an informational referral, he said, and these usually are less urgent and generally deal with processes or policies that need tweaking. Note: The above piece is of interest to me, as during my tenure as the civilian administrative officer for a Defense Department command in Philadelphia, I was tasked with investigating DoD Hotline complaints from our military and civilian workforce. The DoD Hotline was and remains a good program.